Is your fall arrest harness well maintained? For any working at height professionals in the construction industry, ensuring you have the required safety equipment before taking yourself off the ground is essential. Whatever solution befits your working environment on a given day, having the right tools on hand is the first step in minimising the chances of an accident. That said, actually having the equipment isn’t enough – you need to be sure that your gear is capable of doing the job you expect it to. That means regular inspection is required; after all, in hazardous situations a malfunctioning fall arrest system could fail you right when you need it most. There’s no worse time for equipment failure than while working at heights. 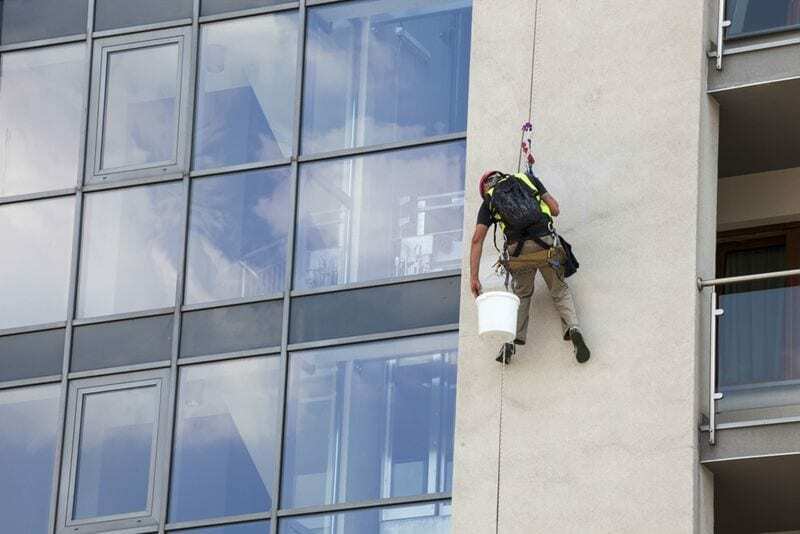 According to Safe Work Australia, 28 per cent of the construction deaths in Australia from 2000 to 2013 were due to falls from height, a figure which may have been significantly greater were it not for safety equipment such as harnesses. That said, it’s possible that further injuries or even fatalities could be prevented if all workers inspect their gear before every use. According to the UK Health and Safety Executive, the pre-use inspection process needn’t take too much time out of your workday, but it can quickly identify any potential issues that may need to be addressed before using the equipment. Essentially, passing the fabric of the harness through your hands to detect small cuts or unusual softening or hardening of fibres will suffice, as well as a visual scan taking no more than a couple of minutes. More detailed inspections of your height safety equipment should be scheduled periodically, with the interim period shorter if the gear is in heavy use. What should inspections be looking for? Fraying or cuts around the edges of webbing lanyards (the fabric part of the harness). Damage to stitching on the lanyards, such as cuts, abrasion or pulled stitches. Damaged or deformed metal fittings, such as buckles or carabiners. Should any of your equipment seem like it has seen better days, pull it from use immediately for closer inspection, and possibly repair or replacement. When working at heights there’s no sense in taking chances, as the smallest issue with your equipment can lead to failure under stress. For advice about your fall arrest systems, or to replace any ageing height safety equipment, speak to Anchor Safe Systems.